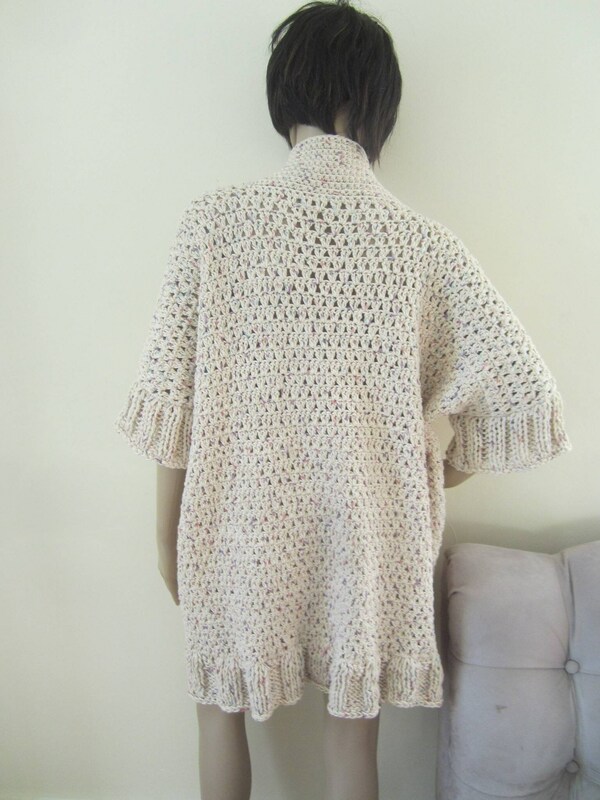 This is an oversize crochet cardigan made using 100% cotton yarn in a tweed color. 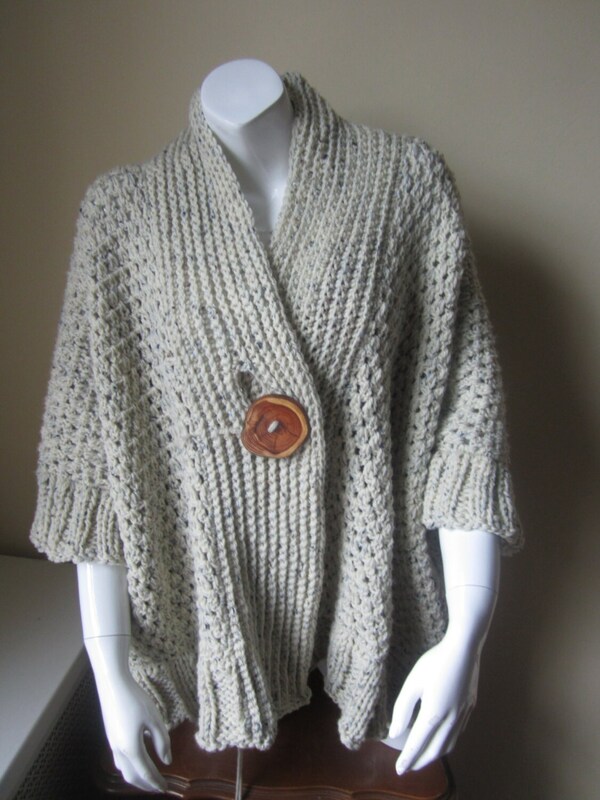 This cardigan features an oversize silhouette, kimono sleeves, shawl collar and Large buttons. 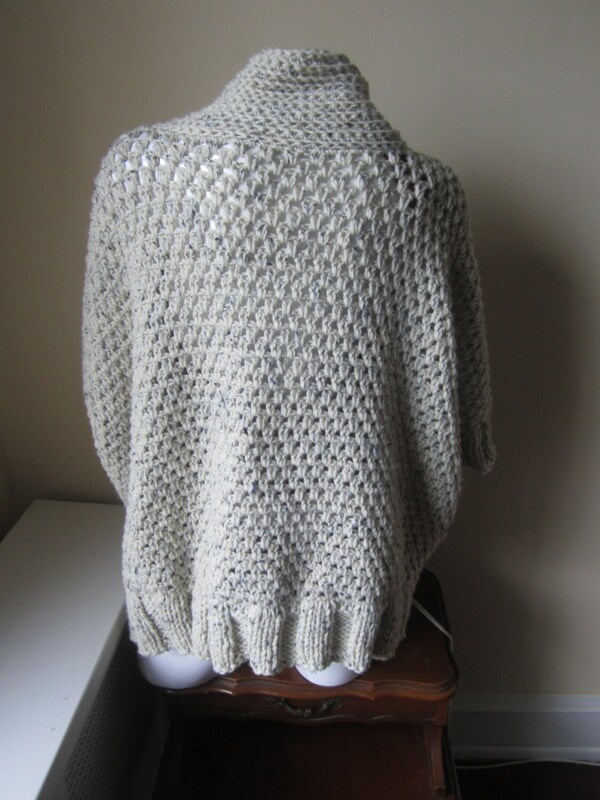 It is a smaller version of my Oversize Kimono sleeve drape Cardigan. It is absolutely stunning, elegant and one of my best works. 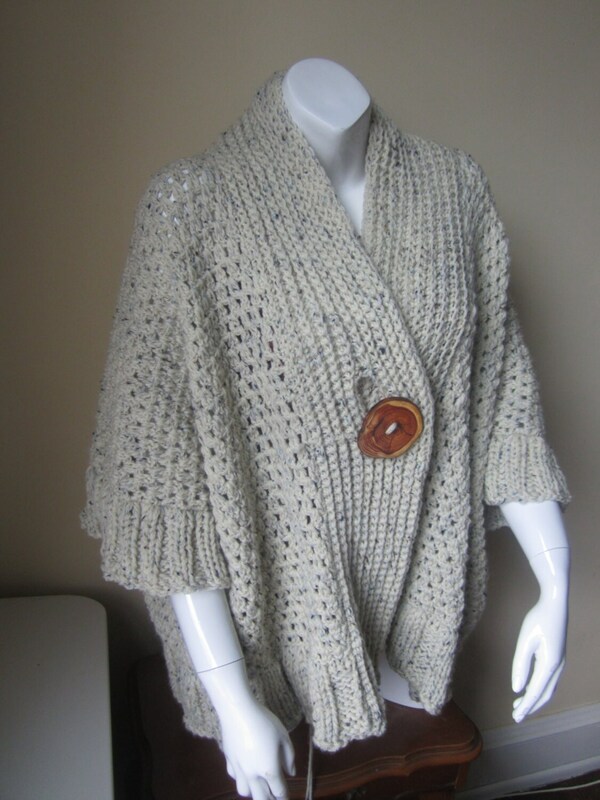 This beautiful crochet Kimono style Cardigan is a cross between a poncho and a Cardigan. It will make a great gift for the woman in your life!!!!! 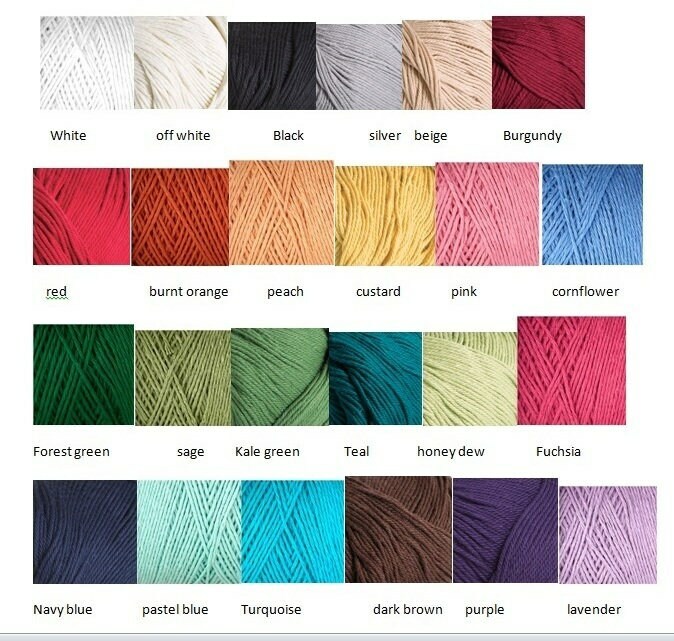 Great communication with seller, lovely sweater. I receive many compliments when wearing it. And the wooden button + tag really adds an extra bit of style that I love... Thank You!